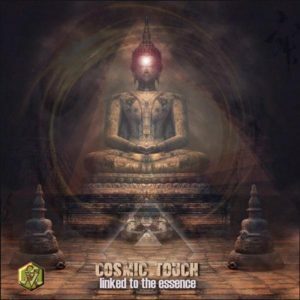 Visionary Shamanics Records proudly presents the new album from Finnish Artist Cosmic Touch (Nico Kumpulainen). Linked To The Essence is a shamanic elixir of the most potent variety, carefully brewed over the long, dark, unforgiving Finnish winter. This audible stew of mind-altering frequencies releases the inner shaman as it offers a peek into a world forgotten by modern society, the world of feeling. Deep mystical bass lines and hypnotic rhythms guide the trip as organic elements and shamanic voices from around the world lift the veil into uncharted areas of the psyche. Mastering by Astropilot, visionary art by Martin Hawk, logo placement by Marina Anauate, and shamanic poetry by Mystical Voyager. MP3 Download | FLAC Download | WAV Download · Download count: 11,035. Quite ok, but you can’t disregard the usage of same samples, same rhythms and very similar vibes. It’s like whole album is one track. Is the Shaman on drugs? . . quite possibly . . . amazing!!! Really enjoyed this released but, as stated by pyc, there is some repetition of samples and rhythms. Apart from that it’s a wonderful release! Crazy sound, lovely progression, enjoyed the album thoroughly! I wonder, to the others here, are there any good, catchy psydub/downtempo releases here on Ektoplazm, that have Afro-themed chants/instruments instead of say the typical Oriental feeling? Any suggestions are welcome. Hello. I added four songs from this album to my video on Dailymotion, “Shamans Warning,” “Frequency Farmers Hut,” 3rd Eye Open,” and a small part of “Ganipata Bass Recording” as well. At first I really liked this album, but after a few listens it got really boring really fast. It has all the mandatory Indian/McKenna/Watts samples in order to receive the Psybient stamp of recognition, and sounds like a generic album from the 2010s. I think the artist is capable of much more if they let the imagination fly and step out of the box a little further.